Let’s face it: Europeans know dance music. We here in the states are often ignorant when it comes to the crafting of the perfect dance tune. European dance music comes more in the form of clashing two worlds: pop and electronica. Now that’s dance music! 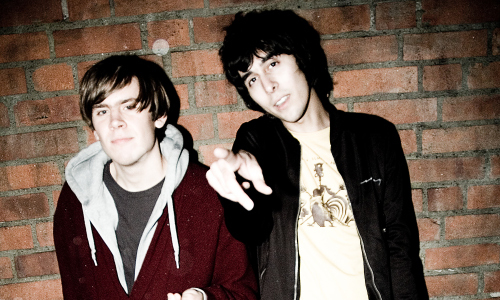 I discovered Unarmed Enemies (MySpace) almost by mistake. After running across the Swedish group The Lovekevins, I decided I had to get their album. Off PopPolar they came, the lovable Lovekevins’ EP and 7-inch. I also picked up a 7-inch compilation from the Matinee library, but they were out. Having already charged me, Poppolar suggesed this album, the Unarmed Enemies EP, for being on the same label as The Lovekevins. That label is Songs I Wish I Had Written and is run out of a country known for producing blissful pop music—Sweden. I agreed to the swap without hearing a note. Then I watched the video for “Show Me Your Plans” and I was hooked! 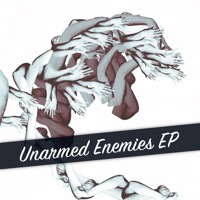 Unarmed Enemies encompass all that is good about Euro dance music. The vocals possess the excellence found in indie-pop while the background consists of trance-like techno and electronic beats. Swapping catchy beats for lyrical melodies (or vice versa) can be suicide, but Unarmed Enemies removes all possibilities by including both. While some beats can be compared to Jimmy Tamborello, the songs are more complex in both electronics and lyrics, allowing for more depth, more insight and a giant dose of dance. This review was originally posted July 21, 2006 on the old version of FensePost.